We Manufacture High Quality Corporate T shirts for ladies and Gents . 100 % cotton , Poly cotton , Dry Fit Fabrics etc are used to manufacture T shirts . 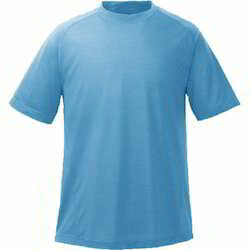 We offer wide assortments of Mens Round Neck T-Shirt that are available in all sizes and varieties. Color We have about 20 colours readily available in our factory . Noted as one of the top manufacturers and suppliers of Formal T-Shirts, we are engaged in offering best quality material to our clients. 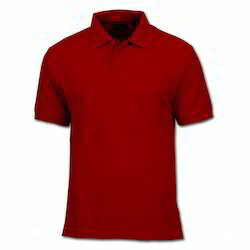 Owing to rich industrial experience in this domain we are involved in offering supreme quality range of Mens T-Shirts. We are offering Mens Red T-Shirt to our client.